Whist we keep all our groups small (maximum of 6 riders), sometimes it can help to have some one on one time. Working with a personal coach means the focus will be just on you, it allows you to progress at your own speed, meaning you will get much more out of your session. It can really help your development, especially if you have a block that you would like to resolve or a skills gap you want to fill. We have two coaches who are really flexible so we can find almost any date to suit you. These include half a day coaching and an afternoon (or morning) on the uplift. Dates showing under this tab are reserved, please do not book on. Please contact us at [email protected] to check our availability & book your course. 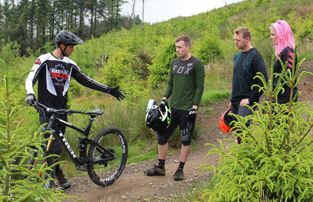 These sessions are catered to your needs and the trail difficulty chosen to suit.